So you just bought a new flat panel to replace your old television. 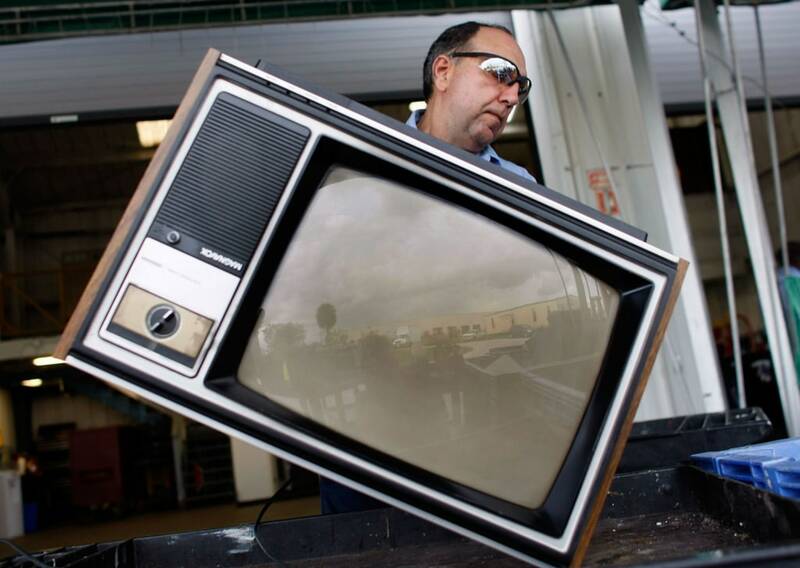 Before you throw that old TV into the local dump, you should be aware of how many toxic materials are in it, especially old-style cathode ray tube (CRT) sets. Picture tubes contain pounds of toxic lead, and heavy metals such as cadmium. The cabinets and circuit boards contain brominated flame-retardants. Want more? HD Guru recently discovered a number of front projectors, including business models sold today, that contain lamps with Krypton 85, a radioactive isotope! Fortunately, the radiation level is low and safe according to the European Lamp Companies Federation and based on IAEC standards. See PDF link. How bad are these other toxins we listed? Mercury poisoning can cause tremors, emotional changes, insomnia, neuromuscular changes, headaches, disturbances in sensations and cognitive function performance deficits. At higher exposures, there may be kidney effects, respiratory failure and even death, according to the EPA. The lower and long-term exposure to cadmium through air or diet can cause kidney damage, the EPA says. High levels of brominated flame-retardants can alter pregnant women’s thyroid hormones, which are critical to a baby’s growth and brain development, according to a University of California study. HD Guru spoke with David Thompson, director of the Corporate Environment Department at Panasonic. He also is president of the Electronic Manufacturers Recycling Management Co. (MRM) a nationwide e-waste recycling program. 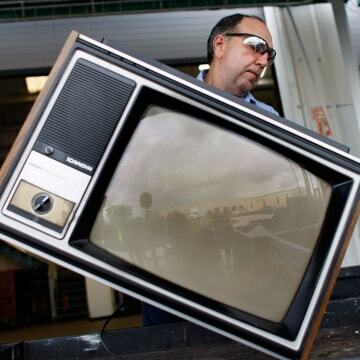 Thompson explained that new plasmas and LCDs have eliminated many of the toxins in TVs. Panasonic stopped using lead in solder in 2006 plasmas and greatly reduced the amount of fire retardant. Plasmas and LED LCDs are mercury free, but not "regular" LCDs, which all contain the toxin in their cold-cathode florescent lamps (CCFL) behind the screen. There are several recycling choices available to consumers. Best Buy allows the drop-off any CRT TVs with screens up to 32 inches, or any flat panels with screens up to 60 inches. However, our local store manager claimed they do not accept any screens above 32 inches, and the only way Best Buy would accept the TV was to pay for a $100 home pickup! After a long conversation between national customer service and the local store's operations manager, the manager relented and now will allow consumers to drop off a 42-inch flat panel in compliance with Best Buy's corporate recycling policy as stated on its website. We worry the rules may change again when a customer arrives at the store. MRM Recycling provides a list of drop-off recycling sites based on ZIP code. What the location accepts, according to the website, is limited to the brands noted after inputting your ZIP code. Again, we ran into a problem. After contacting a local drop-off site, the listing turned out to be incorrect and the location did not accept e-waste. We checked out our local town sanitation department. While the town allows drop-off at our local dump or at designated locations on specific days, they continue to permit curbside pickup of TVs. However, the TVs end up in the local landfill and not recycled! We recommend readers check the MRM website, your sanitation departments, or confirm your local Best Buy's drop-off policy before hauling a TV there and finding the store doesn't comply with its own policies. TVs should never be tossed in the garbage, letting their toxic materials seep into the environment.